Had really annoying problem yesterday. 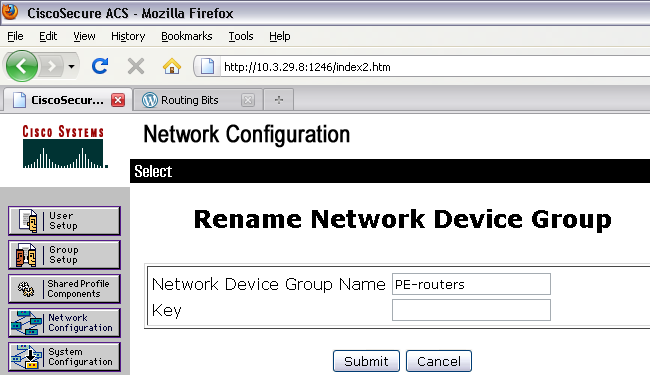 Was busy setting up Role-Based TACACS access on Cisco ACS and happily configuring the NDG (Network Device groups), the Command Authorization Sets etc. Started testing and kept on getting “% Authentication failed” on the CLI. At first you realize you must have made a typo or forgot to do something. 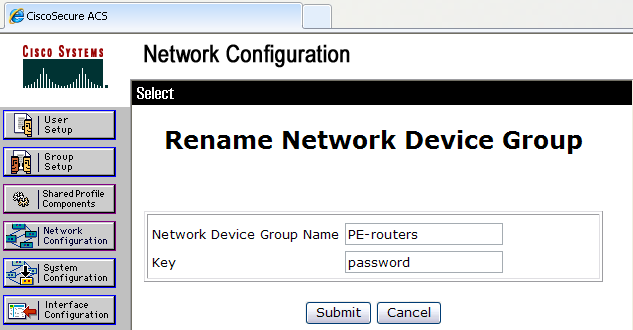 Double check the config, the ACS setup and confirm the passwords are correct with no Null Spaces. But still no luck. I use Firefox almost exclusively. So I went back to my laptop and fired up the hateful IE8 browser. Re-entered the password, hit the ‘SUBMIT’. There is nothing I hate more that than the dysfunctional wannabe browser Internet Explorer. And thanks to lack of insight from the ACS developers, I will have to use Internet Explorer once in a while.